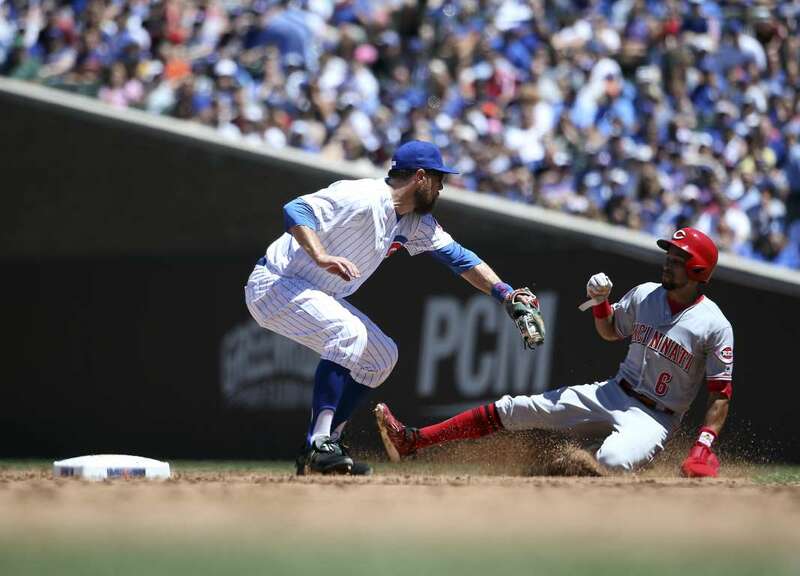 The Cubs infielder Ben Zobrist applies the tag as the Reds' Billy Hamilton (6) is caught stealing second base on Friday in Chicago. The Reds won, 3-2. 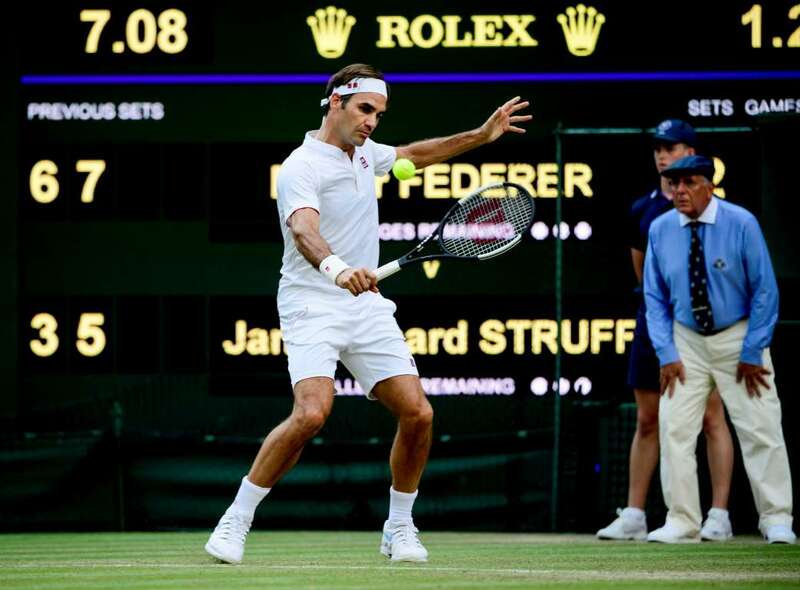 Roger Federer plays a shot during his third round match against Jan-Lennard Struff during the Wimbledon Championships, on July 6. Federer won 6-3, 7-5, 6-2. 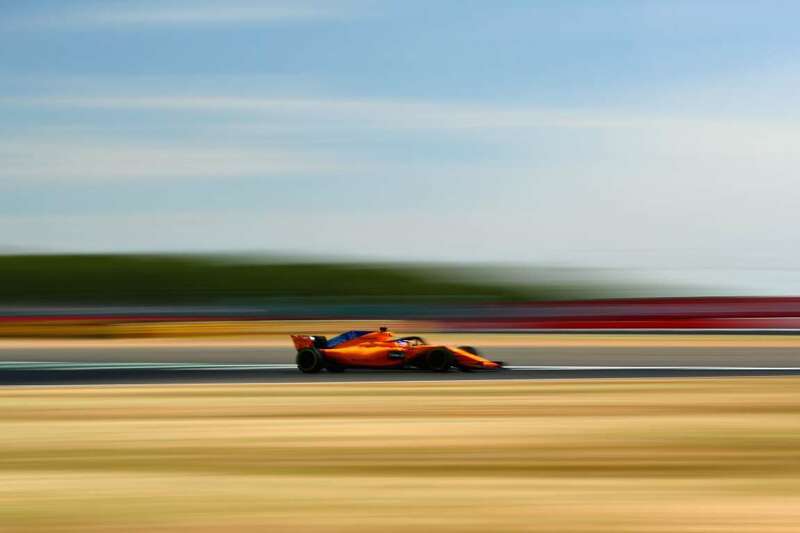 Fernando Alonso of Spain driving the (14) McLaren F1 Team MCL33 Renault on track during practice for the Formula One Grand Prix of Great Britain on Friday in Northampton, England. Belgium's midfielder Kevin De Bruyne (7) scores his team's second goal during the World Cup quarter-final match against Brazil in Kazan on Friday. 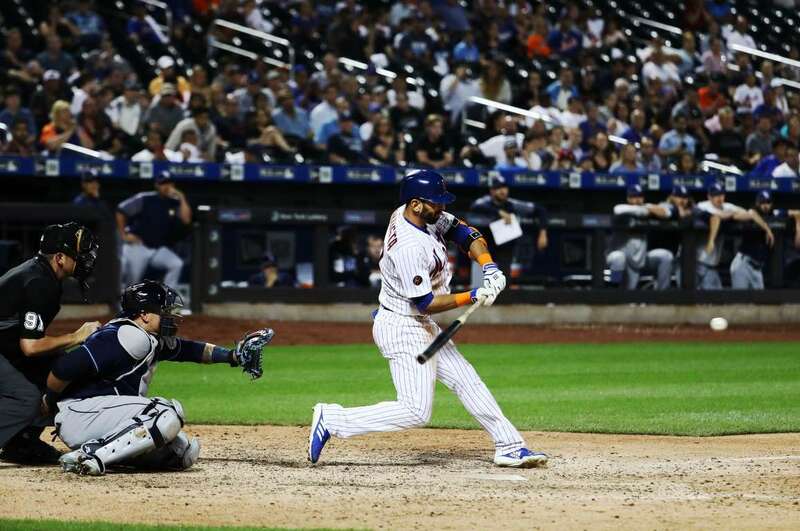 Jose Bautista of the Mets hits a walk off Grand Slam home run against the Rays on Friday, in New York City. The Mets won 5-1. 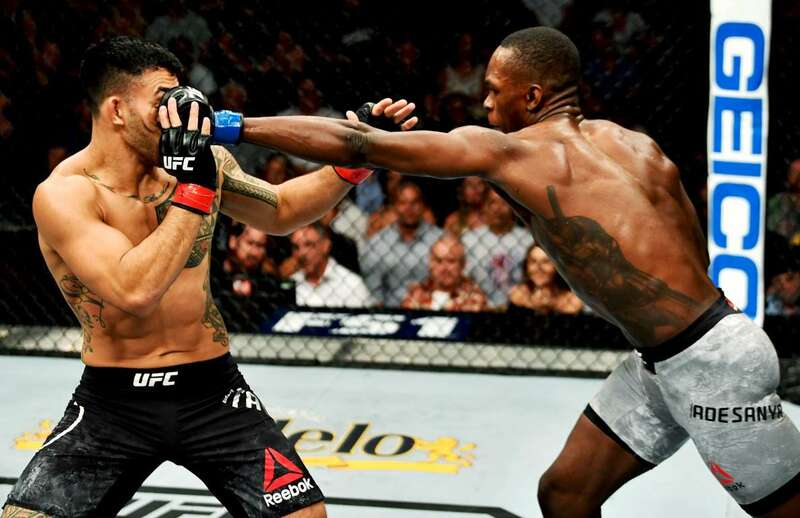 Israel Adesanya, right, punches Brad Tavares in their middleweight bout during The Ultimate Fighter Finale on Friday, in Las Vegas, NV. 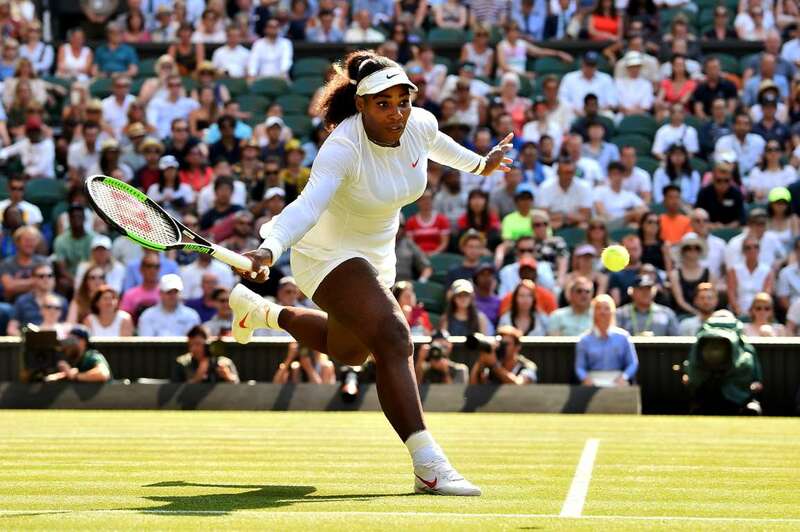 Serena Williams return to Kristina Mladenovic during their third round match of the Wimbledon Championships on Friday in London. Serena won 7-5, 7-6 (7-2). 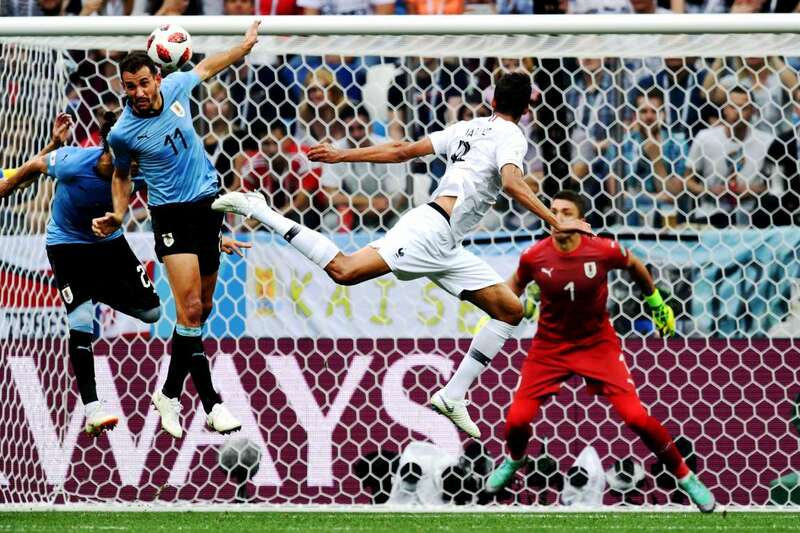 France's defender Raphael Varane, center, heads to score the opener past Uruguay during the World Cup quarter-final match in Nizhny Novgorod, Russia on Friday. France won 2-0. 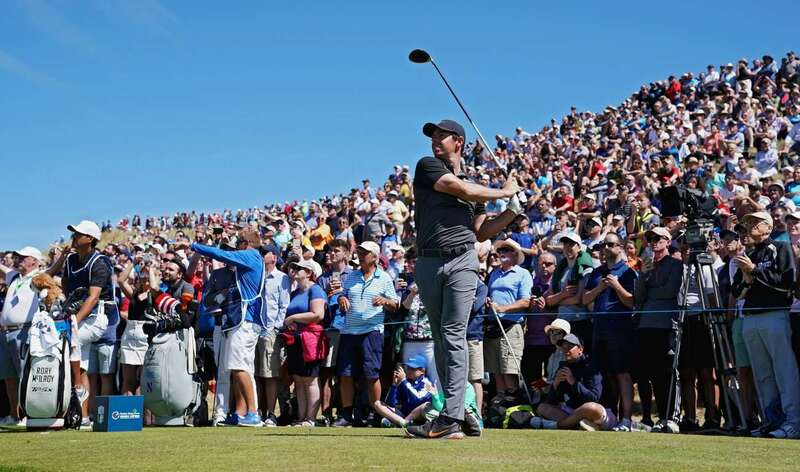 Rory McIlroy hits a shot on the 8th tee during the second round of the Irish Open on Friday, in Donegal, Ireland. 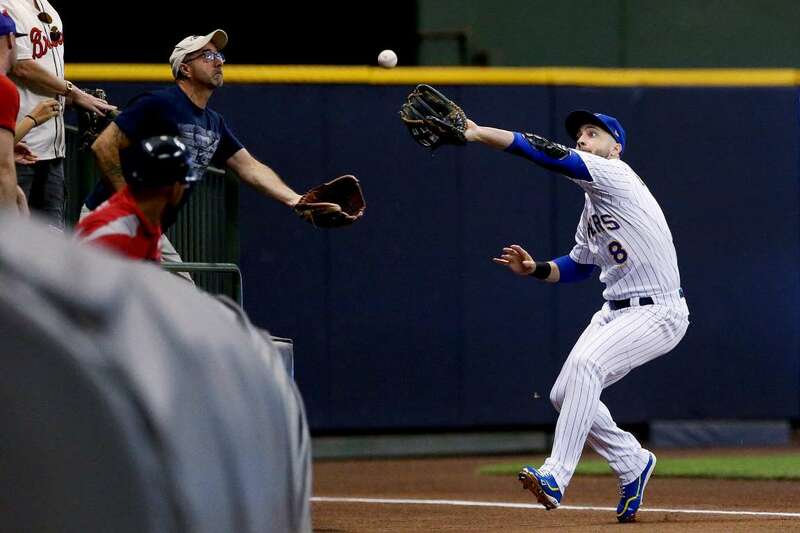 Ryan Braun of the Brewers and a fan reach to catch a fly ball against the Braves on Friday, in Milwaukee, WI. Brewers won 5-4. 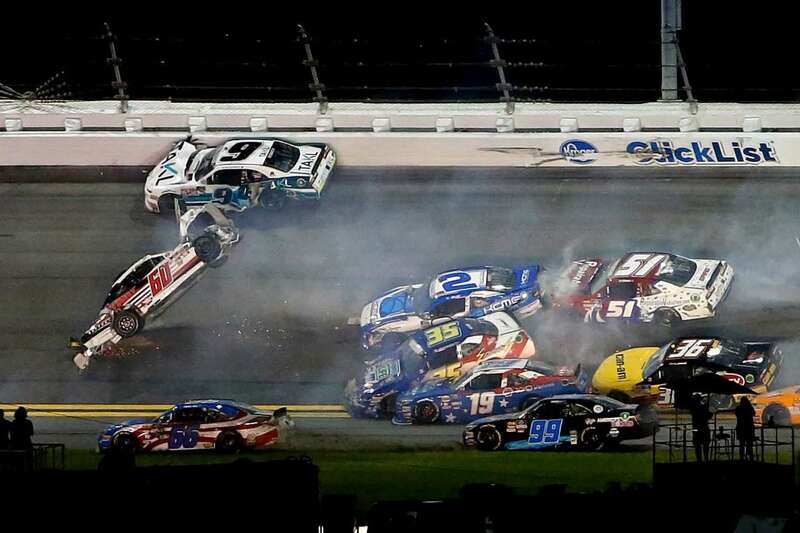 Austin Cindric, driver of the (60) Odyssey Battery Ford, is involved in an on-track incident during the NASCAR Xfinity Series Coca-Cola Firecracker 250 on Friday, in Daytona Beach, FL. Russia's Evgeniya Rodina celebrates after winning against US player Madison Keys on Friday in London. Rodina won the match 7-5, 5-7, 6-4. 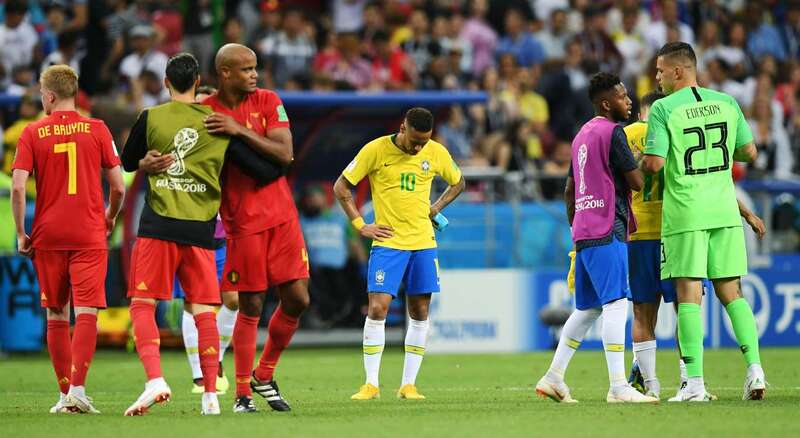 Brazil's forward Neymar looks dejected at the end of the quarterfinal World Cup match against Belgium on Friday in Kazan, Russia. Belgium won 2-1. 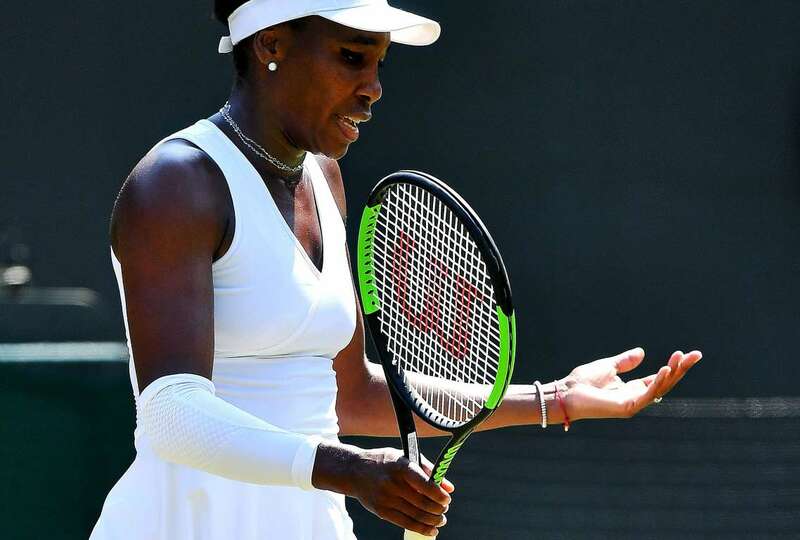 Venus Williams reacts after losing a point against Netherlands' Kiki Bertens during their third round match of the Wimbledon Championships on Friday, in London. Bertens won 6-2, 6-7 (5-7), 8-6. 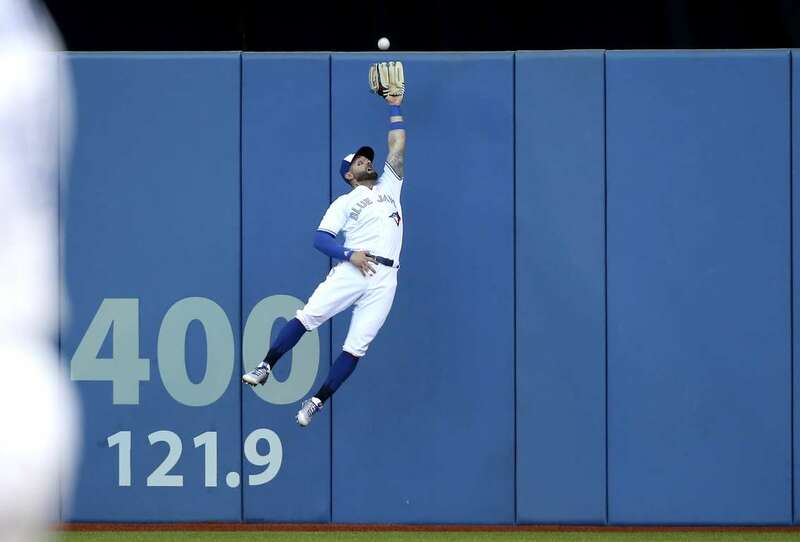 Kevin Pillar of the Blue Jays makes a leaping catch against the wall during the game against the Yankees on Friday, in Toronto, Canada. The Blue Jays won 6-2. 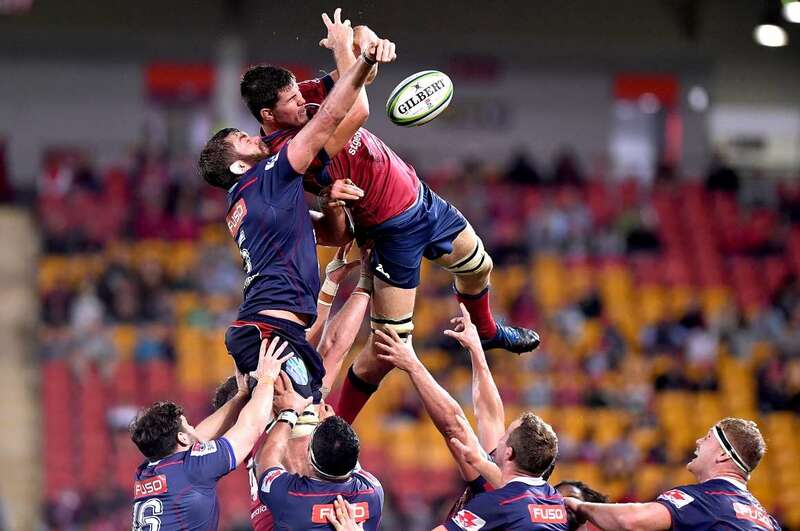 Liam Wright of the Reds and Geoff Parling of the Rebels competes at the lineout during the Super Rugby match on Friday in Brisbane, Australia. 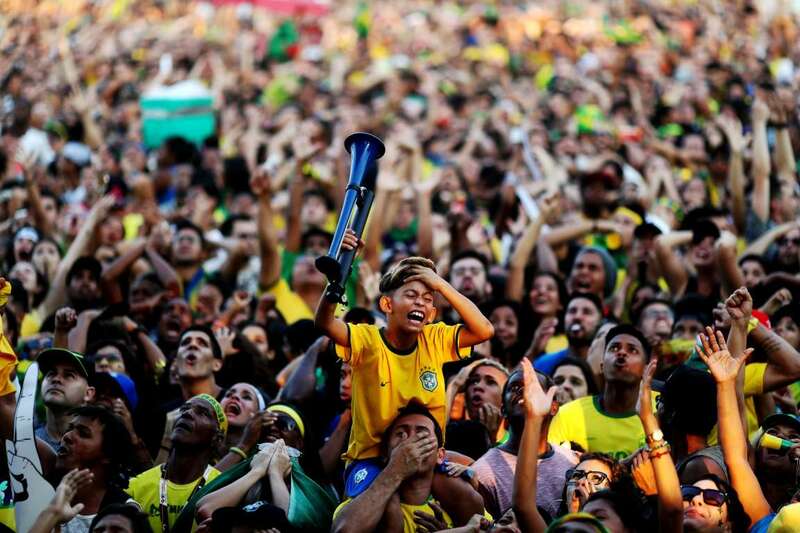 Brazil soccer fans cry as they watch their team lose 2-1 to Belgium during the World Cup quarter final match on a live telecast, in Rio de Janeiro, Brazil. A couple with their faces painted with the flags of Uruguay and France react after the World Cup quarter-final match between Uruguay and France on Friday in Nizhny Novgorod, Russia. 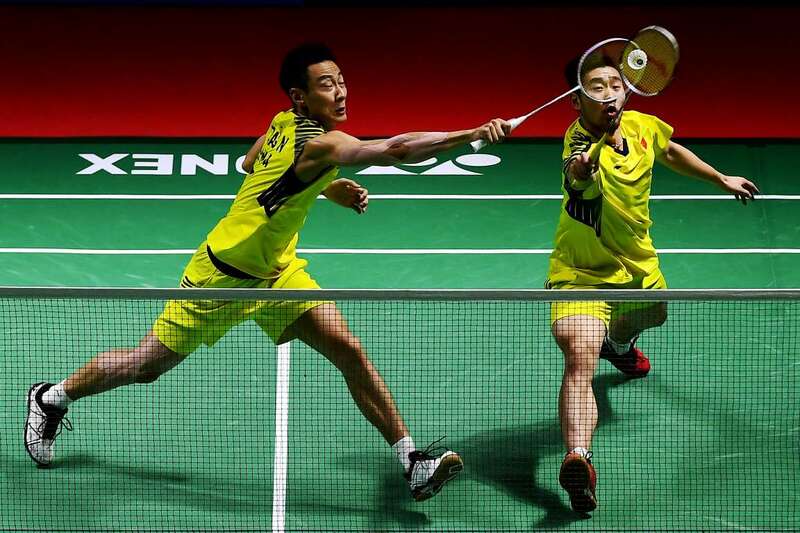 Liu Cheng and Zhang Nan of China compete against Fajar Alfian and Muhammad Rian Ardianto of Indonesia (not pictured) during the Men's Doubles Quarter-final match of the Blibli Indonesia Open on Friday, in Jakarta, Indonesia. 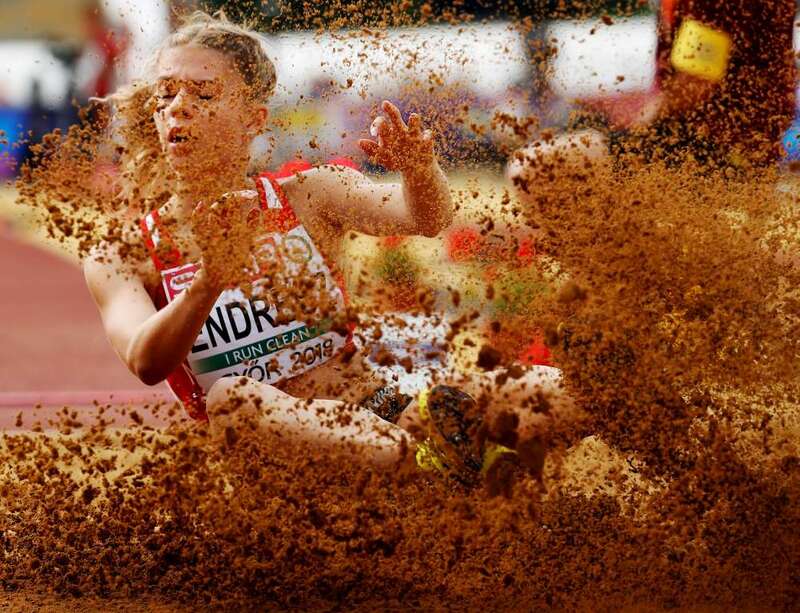 Klaudia Erdesz of Hungary competes in the long jump competition during European Atletics U18 Championship on Friday, in Gyor, Hungary.